Foxygen were on to something with their 2013 breakthrough. We Are the 21st Century Ambassadors of Peace & Magic was a collection of spidery psychedelia in considerable debt to Marc Bolan and the Rolling Stones, but with a tart attitude all of their own. Whatever promise Jonathan Rado and Sam France showed evaporated with their follow-up, 2014’s ...And Star Power, a self-indulgent, unfocused mess of a record that bordered at times on unlistenable. The band’s latest is a slight improvement, though the self-indulgence and lack of focus are still in evidence. 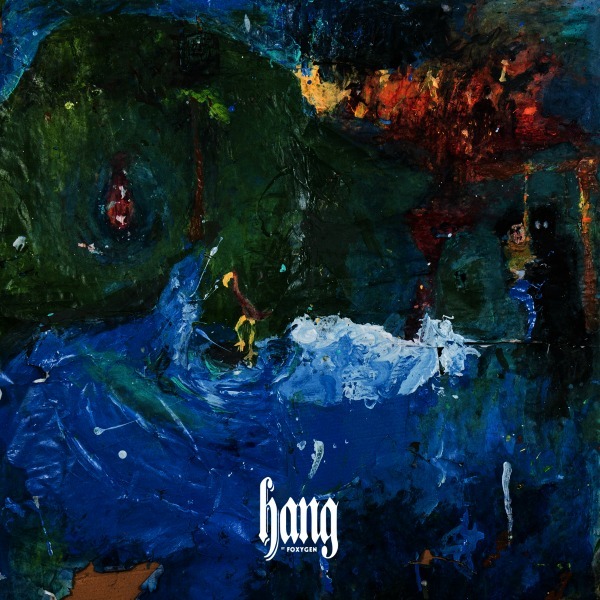 Foxygen recorded all eight tracks on Hang with a symphony orchestra, giving the album a sense of technical accomplishment and musical depth that help mask the fact that these songs are mostly just a series of stylized poses from a band that doesn’t have a fixed identity of its own. No surprise, then, that Hang sounds like a bunch of other stuff. Rado and France go traipsing through 1970s rock as if it were an à la carte buffet, loading up their tray with morsels pulled from David Bowie, Elton John, ELO, T. Rex, Sparks, Todd Rundgren and, for maximum bombast, Andrew Lloyd Webber circa Jesus Christ Superstar. “I know sometimes everyone wants to be someone else,” they sing on opener “Follow the Leader,” and it’s basically a statement of purpose. At least it’s a lush song, stacking up layers of strings, sunny bursts of brass and backing vocals. That’s more or less the template Foxygen follows throughout, though the emphasis changes. With steel guitar and bold piano, “On Lankershim” draws on the rhinestone-cowboy sound of Elton John’s “Tiny Dancer,” while “Avalon” bobs along on a jaunty piano figure, intercut with blatting oom-pah horns and a show-tune chorus Rado and France could have lifted from ABBA’s Mamma Mia!. There’s no reason a band can’t explore different sounds and styles, of course, and plenty of acts shift their focus from one album to the next. Sparks, for example, dabbled in glam-rock, power-pop, electronic music and new wave in a five-decade career that most recently saw them collaborate with Franz Ferdinand as FFS. The difference between Foxygen and a band like Sparks, also a duo with a fondness for tongue-in-cheek pomp, is that Sparks was always pushing boundaries, while Foxygen is dumpster-diving for retro signifiers instead of finding its own way forward.